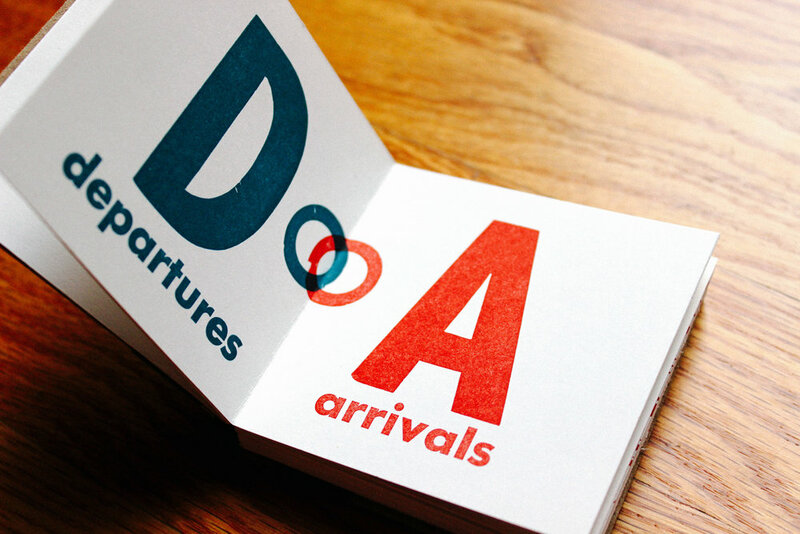 Departures and Arrivals is a class collaborative book. 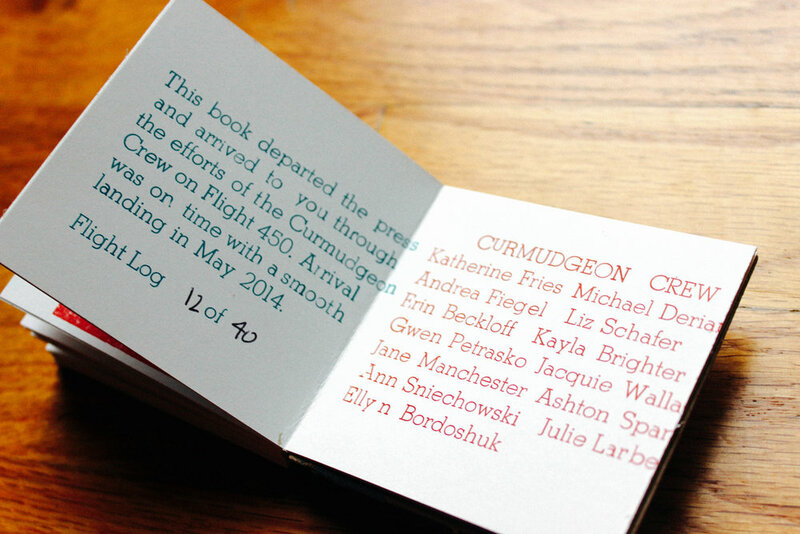 The left page of each spread displays the airport code closest to the student’s hometown, while the right page highlights the airport code of a city the student would love to visit. 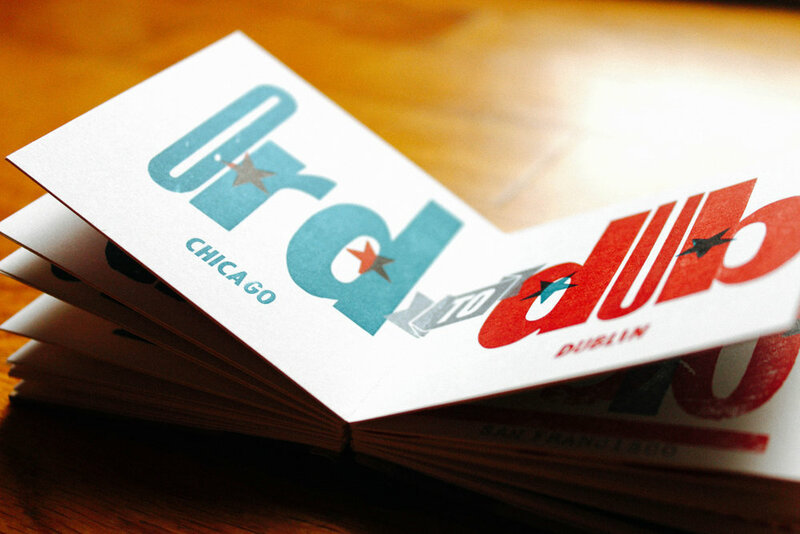 My spread, ORD to DUB, shows my love for my hometown of Chicago and my aspiration to travel to Dublin, Ireland. 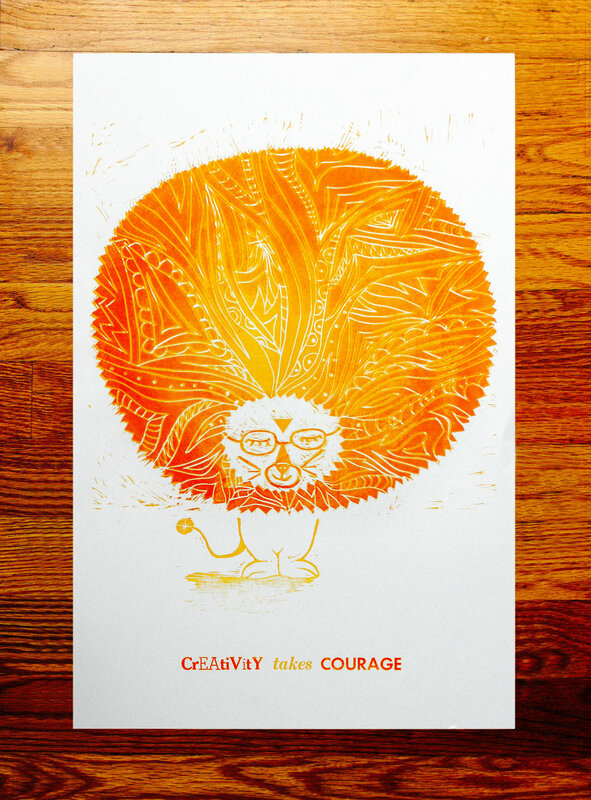 Creativity Takes Courage is a 2-color poster using handset type and hand-carved linoleum blocks for the lion’s head and body. 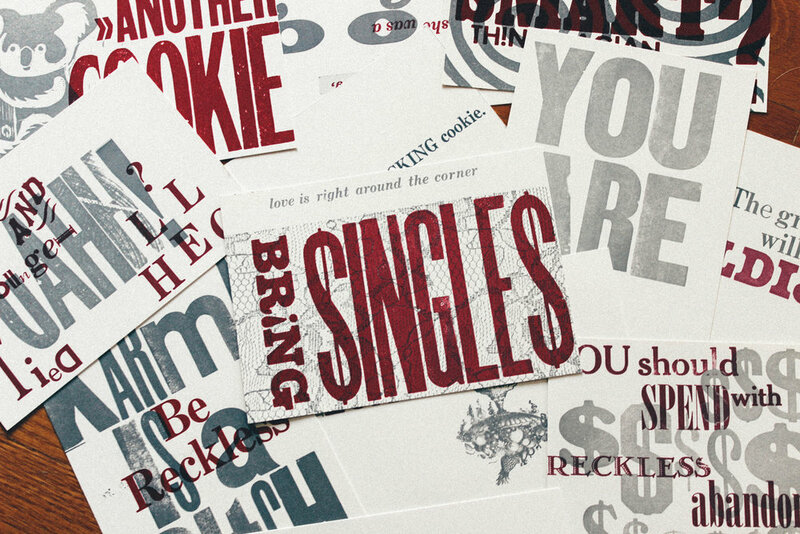 To me, this poster represents taking risks in design, and especially letterpress, where new techniques and approaches are what makes the craft so interesting and fresh. 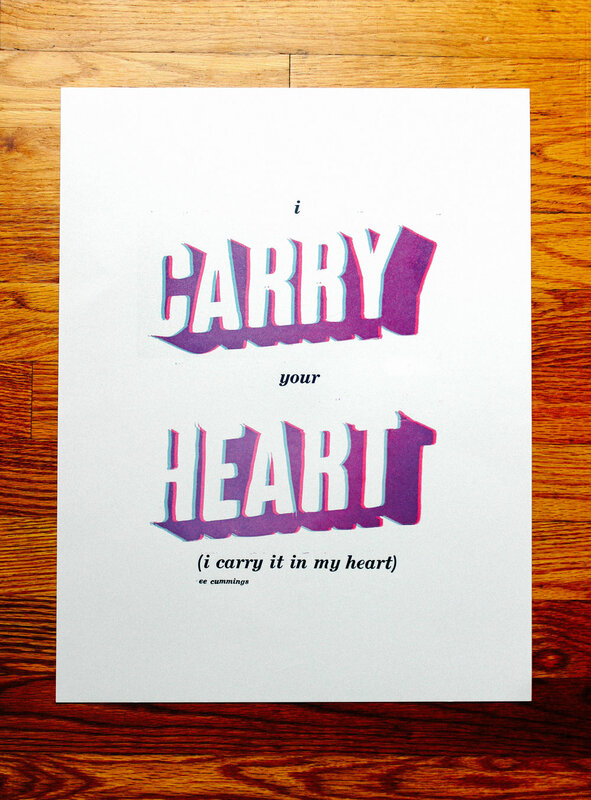 I Carry Your Heart is a 3-color poster using handset type and hand-carved linoleum blocks for the words “carry” and “heart.” It is a personal poster, commemorating my graduation from Miami, and was given out to special friends and family. 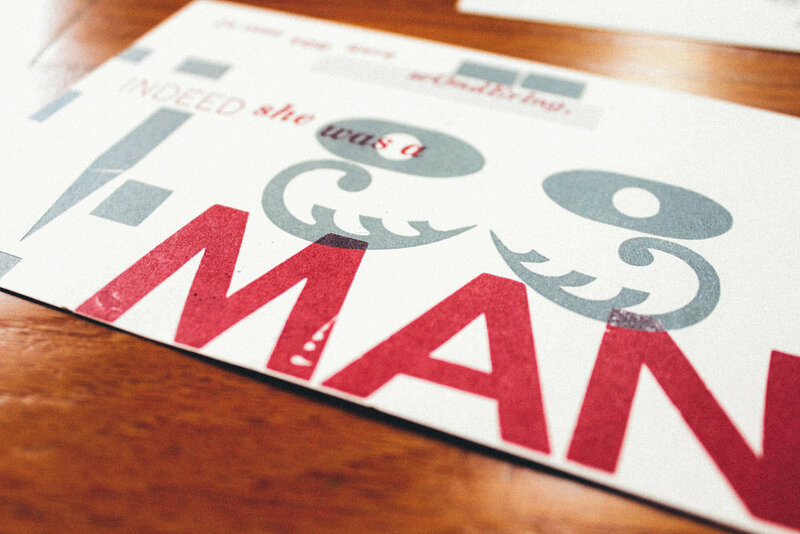 The quote by ee cummings is one of my favorites, and captures the essence of the relationships I made in college.